I don’t know if you heard, but there’s a Far Cry out now and it’s the year’s best PC shooter. Crytek made a year’s best Far Cry once, but since then the German tech giant’s games have wilted in the shadow of their own former franchise. Turns out it’ll be another two months before we find out whether Crysis 3 is compelling enough to merit more favourable comparison. Crytek CEO Cevat Yerli announced a release date of February 19th in the US and February 22nd in Europe at an EA event on Wednesday night. 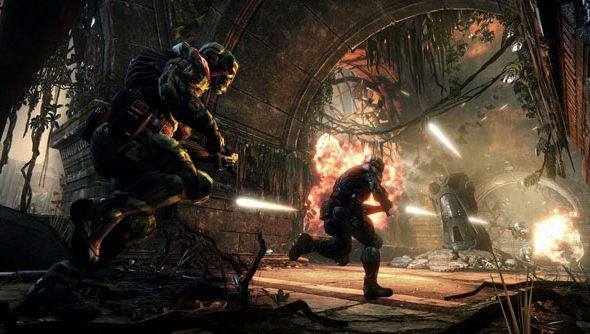 Yerli and his Frankfurt team have been working to bring back the phrase “Can it run Crysis?”. Melting PCs, he said, is “fun at times and it’s frustrating at times, but that’s why we are who we are”.